Camilla E. “Cam” McMurtrey, 77, of East Peoria, IL passed away at her home on Tuesday, August 21, 2018 surrounded by family and friends after a lengthy four and a half year battle with cancer. She was born on June 14, 1941 in Ashland, Tennessee to Theron and Christine (Louallen) Belcher. Surviving are her two sons Dennis McMurtrey of Lowpoint, IL and Danny McMurtrey of Newport Beach, CA; five grandchildren; brothers Terry Belcher of East Peoria and Jerry Belcher of Creve Coeur; sisters Lynda Jones Fritzinger of Bartonville and Sandra Budyn of Havana; and numerous nieces and nephews. She was preceded in death by her parents, sisters Gail Parks, Rhonda Buschbaum, and Theresa Belcher, and Rick Call whom she shared a partnership in life of 30 plus years. Cam was a previous owner/operator of Mac’s Café and Mac’s Too. She had worked for years at Boundry Café, Wagon Wheel Restaurant, Anthony’s Tavern, and Country Inn, and was very well known around East Peoria as a great cook with a big heart. She was active with the Village Board of Bayview Gardens for many years. 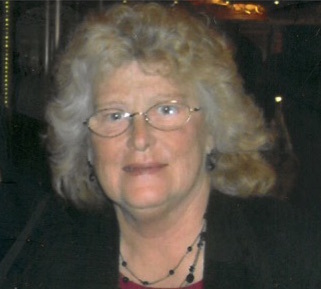 Her interests included family, gardening and yard work, reading, attending auctions and garage sales, and especially collecting antiques to display at her home. She was very active with her children and grandchildren and enjoyed spending time with them at their school activities. Funeral Services will be held at 11:00 am on Saturday, August 25, 2018 at Mason Funeral Home Germantown Hills Chapel with Reverend Curt Rowden officiating. Visitation will be held from 9:00 am until service time on Saturday at the funeral home. Burial will be in Spring Bay Cemetery in Spring Bay. In lieu of flowers memorial contributions may be given to the Wounded Warrior Project, P.O. Box 758517, Topeka, KS 66675-8517. Online condolences at www.masonfuneralhomes.com.